Mayaki, I., Rampa, F. Charting the way for a new decade of CAADP. GREAT insights Magazine, Volume 4, Issue 2. February/March 2015. 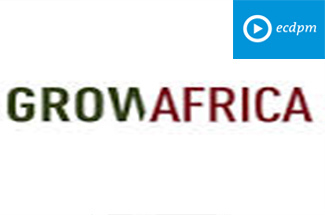 The Malabo Declaration by the African Union Heads of State goes beyond simply calling for increased investment in agricultural production and seeks to promote a more inclusive and holistic approach to transforming African agriculture. Efforts to implement the Malabo Declaration therefore need to address the broader economic policy environment for African agriculture. 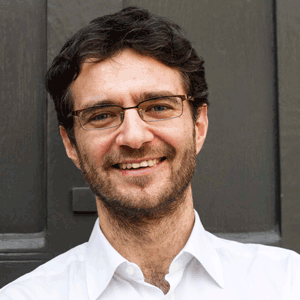 Francesco Rampa: What do you think are the major innovations, from the continental perspective, of the Malabo Declaration, and what is the NEPAD Agency’s vision for making it a reality? Ibrahim Mayaki: First of all, it should be recalled to which level of ambition and challenges the Declaration of Malabo is driving us. It is a request for agricultural transformation that our leaders have directed to us with specific objectives in terms of results and impact, whereas the Maputo Declaration in 2003 was more insistent on means (10% of public expenditures to agriculture). It also goes beyond the problem of agricultural production since aspects of trade and revenue are therein clearly expressed. The strategy that has been developed can no longer simply be aimed at committing more investment, which was in fact the substance of the efforts made during the first ten years of CAADP and that was realised relatively successfully. Actually the energy so far has focused on the remobilisation of African states towards inclusive and better planning in agriculture resulting in the design of more than 40 investment plans, some of which were carried out at 100% with significant results. And we have learned a lot from this process. It is now clear that where the results are most evident is when financial reinvestment is accompanied by a clear vision of the state’s role in the revitalisation of the private sector by creating an economic environment that stimulates initiatives, particularly by conducting transparent and foreseeable policies, and at the same time by regulating the market in order to deal with market failures, in particular in the area of risks management which is so important and harmful at all levels of the agricultural value chain. The consequence is that our strategy and roadmap for implementing the Malabo Declaration should primarily address the issue of economic policy for the agricultural sector. The Malabo implementation strategy and roadmap has defined four thematic areas of priority action. The NEPAD Agency, through its experience and reflection on development issues, has progressively elaborated its own philosophy on key drivers of success with an economic approach. We already had the opportunity to develop this in our publication, African agriculture: transformation and outlook. Each of these four areas aims at transforming agriculture, in the context of sustained inclusive growth, hence we consider Africa should focus on the following: (i) enhancing support to smallholders towards sustainable intensification in order to facilitate their transition into modern family farms. 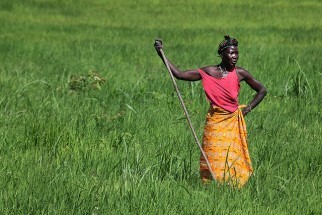 Actually we consider family farming as the cluster of players with the highest potential for increasing productivity from its present level and for creating activity with an efficient use of limited natural resources; (ii) strengthening the position of farmers, women and youth in the value-chains and promoting preferences for regional markets. To take advantage of the growing domestic market and reduce food dependency, a regional preference strategy is essential. 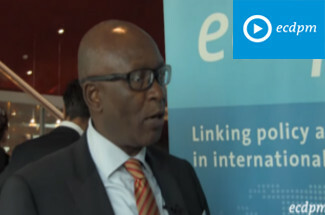 It should consist of promoting customs unions at Regional Economic Community level and a functional free trade area as well as a kind of infant industry strategy for gradual integration into global markets; (iii) increasing the resilience of livelihoods and systems not only through coping and adaptation mechanisms at production level but also by promoting risk and shock reduction measures particularly aiming to improve the functioning of markets. 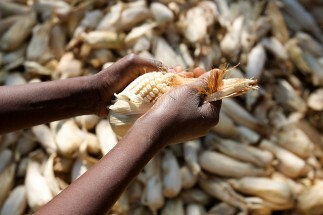 The transformation of agriculture and the building of resilience must integrate a comprehensive approach, including regulation of relationships between stakeholders and marketing institutional arrangements that promote balanced contractual relationships within the value chains; (iv) improving the management of natural resources through increased participation of the local communities for securing equitable access to opportunities and for enhancing fair distribution of the wealth that will be created. Our vision is not far from that of promoting a policy of food sovereignty which would articulate the benefits of a higher level of regional integration and rational use of opportunities offered by global markets. A direct consequence of the change in the approach towards the implementation of economic policy is that we will use all the prerogatives given to us as a development agency. We cannot limit ourselves solely to supporting processes at country or regional level as we used to do mainly during the last ten years of CAADP. We must be able to provide technical expertise to the discussions that any economic policy proposal provokes. I just offered the NEPAD vision. It will not impose on countries, but without doubt it needs to be debated. And for us, one of the key players of the political dialogue and who must become the catalyst of debates and decisions on matters of economic policy are farmers themselves. They will be the main actors in economic transformation and we know they are ready to address the issues just presented. So you see that from theoretical questions on economic policies we must take into account the sector’s political economy. Since this GREAT’s theme is on inclusive partnerships, you understand that from our point of view, partnership is mainly fostering the voice of stakeholders who will be actors of the transformation and need to reinforce their voice in the change of game rules. In that regard, the systemic capacity strengthening objectives of the Malabo implementation strategy and roadmap gives a framework for dealing with relations of key stakeholders to economic policies. The NEPAD Agency will accord greater importance to the political economy of CAADP implementation. Accordingly, particular attention will be paid to farmers’ capacities in light of the emergence of strong private players in the agricultural sector. Efforts will also be made to strengthen the capacity of African parties to interact proactively among different sectors within Africa and with the global players. FR: What are the linkages between the Malabo roadmap and the CAADP Results Framework 2015-2025? IM: We must recognise that, at first sight, the Malabo Declaration and the CAADP Results Framework can appear as concurrent documents. This could be seen as quite normal because both reflect a revival of the CAADP agenda driven by the same actors but on different terms. To be more precise, I would say that the Malabo Declaration is the political translation of the reflection process conducted over two years by the CAADP stakeholders in the exercise called “sustaining the CAADP momentum”, of which the technical product was the CAADP Results Framework. The Malabo Declaration is fed from the Results Framework development work that was a collaborative effort involving technical partners and, to a large extent, the stakeholders of the agricultural sector. Conversely, the Results Framework has been amended to reflect the way the ministers and heads of state stressed issues such as trade and nutrition, to give only two examples. In fact, the Results Framework was built by establishing three levels of indicators, the third being specifically dedicated to technical institutions in charge of supporting CAADP actions. Somehow the statement of the Malabo Declaration speaks also to this level when reaffirming the values and principles of CAADP and first and foremost participatory working methods. The second level sets specific targets for actions that embrace sectors contributing to the transformation of agriculture. This is the heart of the expectations raised by the Declaration. But the Declaration is also situated at the highest level of ambition by placing agricultural development in the broader context of the structural transformation of our societies. This is expressed in the goal of eradicating poverty and hunger. The Malabo Declaration thus gives additional weight to the Results Framework that is becoming our benchmark document for the next decade. It must also become the reference document for all, to which partners in particular will align in the same spirit as they did towards the CAADP Compact at the first stage of the CAADP with the testimony of a common commitment towards African goals in the agricultural sector. We also hope that partners will own the Results Framework by aligning their monitoring and evaluation systems to this document for the actions they undertake in support of CAADP, and also use it until 2025 as the yardstick to take stock of this support. 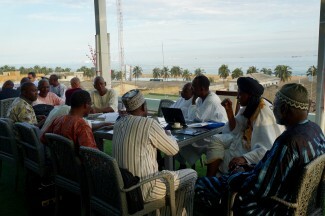 FR: What are the key challenges and opportunities that implementation of the Malabo roadmap is likely to encounter during 2015? IM: First we need to understand that it is not because almost all countries have established their investment plans that the CAADP task is completed. CAADP is a way of working and promoting dialogue within countries. External partners have helped us to achieve this and their support is still important. But we must also admit that when engaging on economic policy issues, there is no doubt that Africans need to assert improved leadership. We have always said that we have common goals with partners in terms of transformation of agriculture, but different responsibilities: arbitration on economic policy issues will be African while decisions will be fed by knowledge and science produced by all. As such, the work done by ECDPM that adds to the common good is most welcome and appreciated. Our second challenge is to mobilise stakeholders internally. I have already mentioned the complexity of reconciling the sometimes conflicting interests of the various components of the private sector. But we also have to learn to work better between sectors. Agricultural development is not solely the responsibility of ministries of agriculture. The challenges of increasing productivity must be addressed in a more systemic and multi-sectoral way, by handling together the issues of education, finance, environment, trade or industrialisation among others. On some of these policies, the regional level is essential. That is why as from now we are strengthening our cooperation with RECs. The third challenge is likely to be that of assisting individual countries to develop their national CAADP Results Framework in the very spirit of Malabo where a particular commitment has elevated mutual accountability at a level where it has not been before. Succeeding in operationalising this commitment would demand more stakeholder engagement at national level and as a consequence, more facilitation and advocacy on our part. We stand ready to do this as in the past. 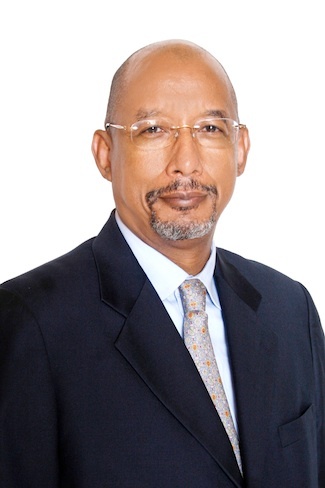 Dr Ibrahim Assane Mayaki is the Chief Executive Officer (CEO) of the New Partnership for Africa’s Development (NEPAD) Planning and Coordinating Agency, headquartered in Midrand, South Africa. Between 1996 and 1997 he was successively appointed as the Republic of Niger’s Minister in charge of African Integration and Cooperation and Minister of Foreign Affairs. In November 1997, he was appointed Prime Minister of the Republic of Niger, a function he held until January 2000.